A new and vastly improved climate change policy has come out of nowhere to capture the imagination of state and national policymakers: “Cap and dividend.” It works like this: Step one, impose a carbon cap. Step two, auction off all carbon allowances. Step three, return the revenues generated to all households on a per capita basis. Two recent developments have given cap and dividend a huge boost. Just before Christmas, Sens. Maria Cantwell, D-Wash., and Susan Collins, R-Maine, introduced a cap-and-dividend bill known as the CLEAR Act that has catalyzed a nationwide debate about the concept. A few weeks later, a California commission of experts recommended cap and dividend as a key element in a greenhouse gas reduction strategy. If the recommendation is accepted by the California Air Resources Board, the impact would be enormous, since California’s economy is larger than all but seven nations’ and because in environmental matters, as California goes, so goes America. That was true of its pioneering efforts to improve urban air quality and raise automobile fuel efficiencies. 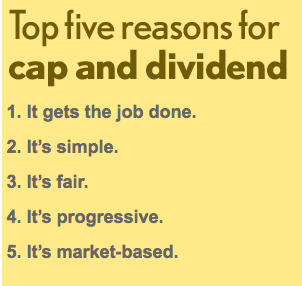 Why is cap and dividend such a compelling strategy? First, it avoids the pitfalls of cap and trade. Carbon trading is frightfully complex and undoubtedly would prove as easily manipulated and abused as has been financial securities trading. The systemic risk and overhead costs attendant to globalized carbon trading would dwarf any possible benefits. Cantwell understands this. She has promoted legislation to severely curb financial and commodities speculation. The CLEAR bill significantly restricts carbon trading. Second, cap and dividend avoids the political graveyard of carbon taxes. Consider that it took three legislative sessions for Minnesota to raise its gasoline tax by a nickel. A carbon tax that could significantly change behavior would have to be as much as a hundred times greater. Indeed, the greatest attraction of cap and dividend is that it may be the only climate change strategy that is politically viable. Americans aren’t stupid. We know that reducing carbon means increasing the price of carbon and therefore the price of most goods. We distrust politicians who tell us otherwise. Carbon dividends would offset the increased prices for a majority of households. If the money is returned to people on an equal basis, higher-income and higher-consumption households would pay in more (in higher energy and product costs) than they would receive back from dividends. But lower-income, lower-consumption households would receive back more than they pay. In a 2008 report, John Bailey, a colleague of mine at the Institute for Local Self-Reliance, estimated that about 60 percent of households would be held harmless through a cap and dividend policy. The California commission, which recommends rebating 75 percent of the auction revenues (the same percentage as the CLEAR bill) estimates that the share of households that would benefit or come out income-neutral would be closer to 70 percent. The CLEAR bill faces an uphill battle, but its bipartisan sponsorship may give it an edge over other bills, given the recent election results in Massachusetts. The California cap-and-dividend strategy may be first to the finish line. It does not need legislative approval. The California Air Resources Board has the authority. But whatever happens in the next few months, one thing is clear. 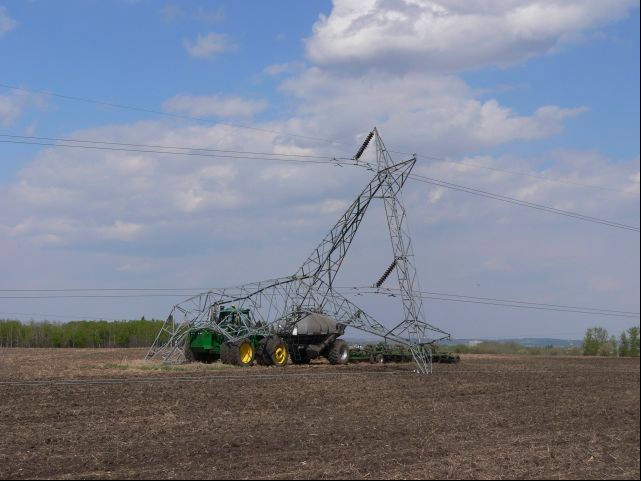 There’s a new kid in the climate change game. And she’s flexing her muscles. David Morris, Minneapolis, is the vice president of the Institute for Local Self-Reliance.